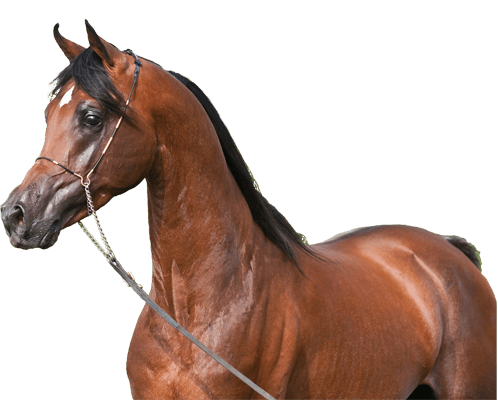 All you need to manage your equine business. Try it now! Now as an ONLINE version, from everywhere, collaborating with other users in your business! ... no credit card required! 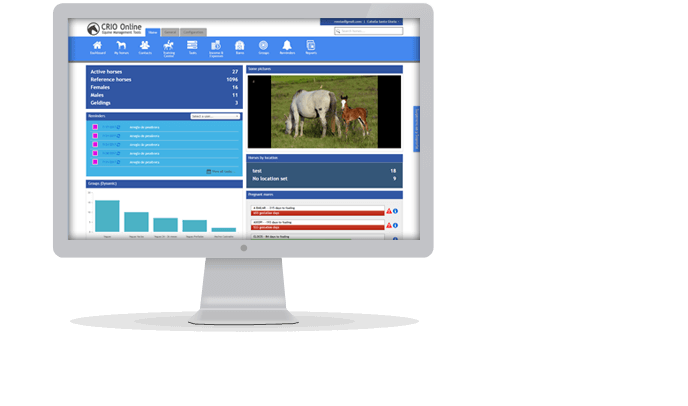 Your horse's data in one place. Forget papers, notes and Excel. Now you can have it all centralized in CRIO Online. You will not lose more information and access it when you need it is easy and fast. Now you can upload and view your information from anywhere with internet access. Besides all functionality was designed to be very agile. You no longer need the person in your office to load all the information. 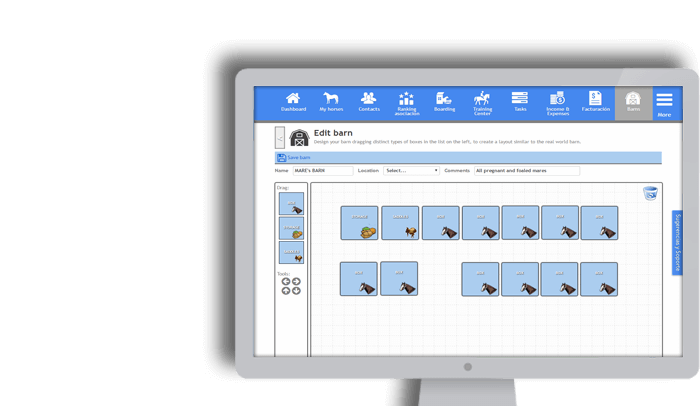 Your veterinarians, farriers, employees can have access... each with different level of access to functionalities. CRIO Online is designed to, without losing functionality, be very easy to use. 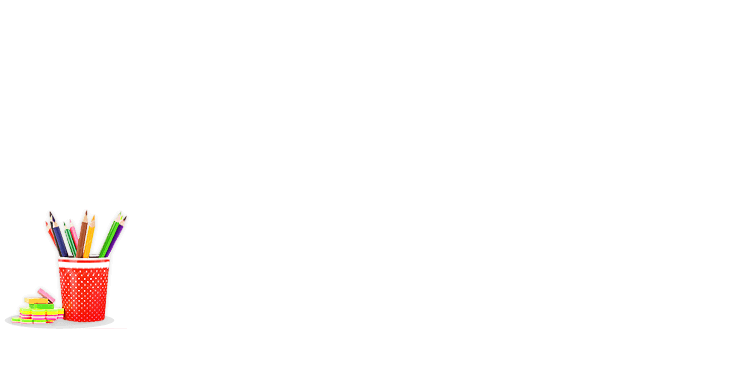 Moreover, it is being continuously fed by the suggestions of users that we implement quickly. Forget about data loss by viruses, stolen or damaged computers ... CRIO Online does the heavy lifting. CRIO Online is hosted in high-end servers, with continuous monitoring, where your information is backed up daily. As we add features and make improvements, they are available to all users automatically. You no longer need to watch for updates... we do that for you. 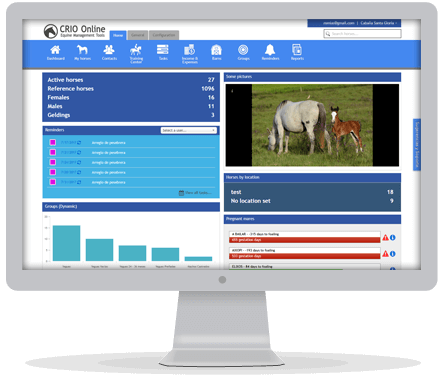 CRIO covers all need of a modern horse farm or equine business, helping to promote and market your horses while keeping detailed records of all aspects of your operation. 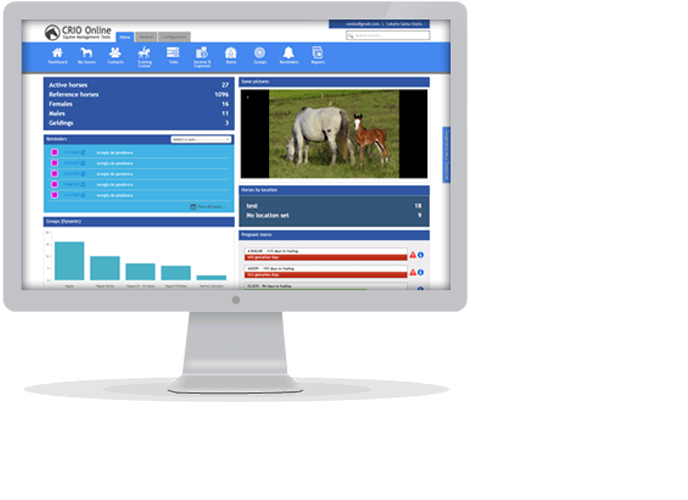 We created an online equine management system that is really easy to use, but always providen outstanding support.